Something has to break this cycle of Trump’s, or Trump related, quotes being the Gibberish Quotes of the Day! 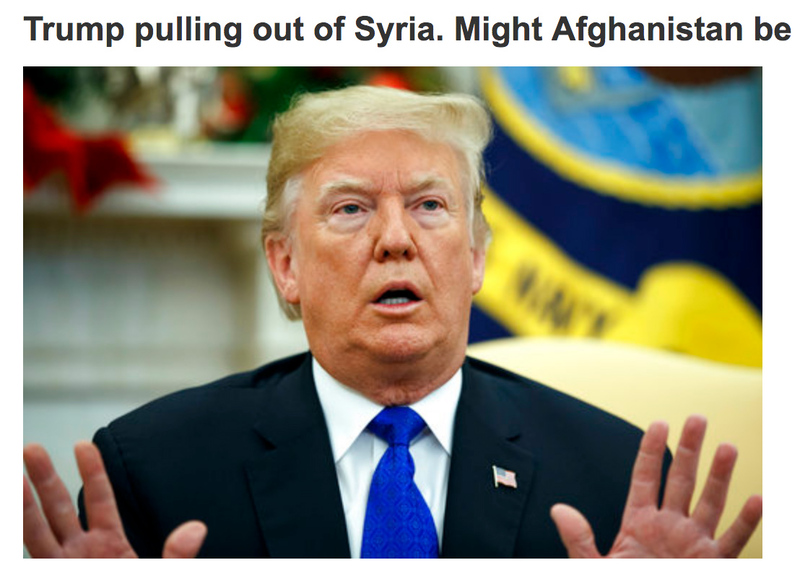 Here’s what Trump said: "We have defeated ISIS in Syria, my only reason for being there during the Trump Presidency." & "We won, and that's the way we want it, and that's the way they want it". To think that ISIS will not return with a vengeance may be delusional, but some question that. With Trumps decision to pull of of Syria, the wheels of extensive gibberish are set in motion. This all has me asking, "Can you humans sort through all your giberish and agree on anything?"